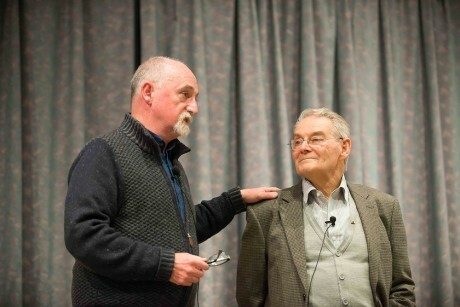 Holocaust survivor Tomi Reichental and award-winning director Gerry Gregg will discuss their new documentary, Condemned to Remember, as part of the annual James J. Kenneally Lecture on Thursday, October 11, 2018 in the Martin Institute at 7 p.m.
Condemned to Remember is an engrossing cinematic journey across a Europe in the throes of political, economic and social turmoil. Through the prism of the experiences of the 83-year-old Holocaust survivor “who has seen all there is to see” the tumultuous story of contemporary Europe unfolds. In this epic award-winning feature documentary, Reichental discovers that the old atavistic forces of xenophobia and nationalism that destroyed the world of his childhood are on the rise again in Europe. But in his worst nightmare Reichental never dreamt he’d see the uniform of the Slovak fascist paramilitaries who delivered his family into the arms of the Nazis on parade again today in his native Slovakia. All told, 35 members of his extended family never returned from captivity. Some were gassed at Auschwitz. Some were worked to death at Buchenwald. His maternal grandmother Rosalia starved to death beside him in Bergen-Belsen. Desider, his father’s gifted brother, was guillotined in Breslau Prison for resistance activities. Now an Irish citizen, Tomi has spent the last decade visiting schools and colleges throughout Ireland telling his story and sharing his cautionary message of history repeating itself. In Gerry Gregg's remarkable new film, Tomi confronts, what the Polish American scholar Jan Gross, describes as a “crisis of shame” that prevents an honest reckoning with the scale of the local collaboration and “collusion” with the Nazi extermination project all across modern Europe. Tomi, who has spoken at Stonehill twice before to large audiences, also encounters on his trans-European trek, refugees fleeing the hell that is Syria and other war-ravaged regions. Their plight brings back memories of Tomi’s days on the run from the Gestapo and the desperate search for sanctuary. At the event Reichental and Gregg will address the question: How have the hard lessons of the past faded so fast? This is just one of the big questions at the heart of “Condemned to Remember.” The documentary's cautionary warning about contemporary events is the concluding part of a unique trilogy of films with a remarkable eye witness to the horrors of the 20th Century. 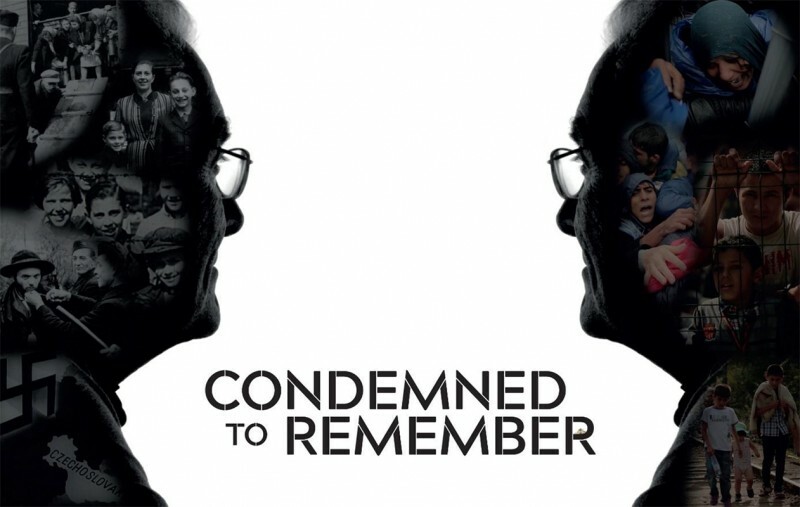 In preparation for the event, Condemned to Remember is now available on Amazon Prime for viewing. In the run up to the event, there will be free screenings of the documentary across campus. All are welcome and the event is open to the public. For more information, email mmcgovern@stonehill.edu or call 508-565-1070. Now in its 16th year, the Kenneally Lecture is sponsored annually by the Catholic-Jewish Dialogue Committee. This year's event is co-sponsored by the Martin Institute for Law and Society, the Office of Intercultural Affairs, the School of Arts & Sciences, and the Office of Communications and Media Relations.